2684001 55-65 FIAT AGRI 55-65 Crawler Tractor Spare parts catalog. Operation and maintenance manual. Service/Workshop manual. 2684002 55-75 FIAT AGRI 55-75 Crawler Tractor Spare parts catalog. Operation and maintenance manual. Service/Workshop manual. 2684003 55-85 FIAT AGRI 55-85 Crawler Tractor Spare parts catalog. Operation and maintenance manual. Service/Workshop manual. 2684004 60-65 FIAT AGRI 60-65 Crawler Tractor Spare parts catalog. Operation and maintenance manual. Service/Workshop manual. 2684005 60-75 FIAT AGRI 60-75 Crawler Tractor Spare parts catalog. Operation and maintenance manual. Service/Workshop manual. 2684006 60-85 FIAT AGRI 60-85 Crawler Tractor Spare parts catalog. Operation and maintenance manual. Service/Workshop manual. 2684007 62-85 FIAT AGRI 62-85 Crawler Tractor Spare parts catalog. Operation and maintenance manual. Service/Workshop manual. 2684008 62-85 M FIAT AGRI 62-85 M Crawler Tractor Spare parts catalog. Operation and maintenance manual. Service/Workshop manual. 2684009 62-85 FD FIAT AGRI 62-85 FD Crawler Tractor Spare parts catalog. Operation and maintenance manual. Service/Workshop manual. 2684010 65-65 FIAT AGRI 65-65 Crawler Tractor Spare parts catalog. Operation and maintenance manual. Service/Workshop manual. 2684011 70-65 FIAT AGRI 70-65 Crawler Tractor Spare parts catalog. Operation and maintenance manual. Service/Workshop manual. 2684012 70-75 FIAT AGRI 70-75 Crawler Tractor Spare parts catalog. Operation and maintenance manual. Service/Workshop manual. 2684013 72-85 FIAT AGRI 72-85 Crawler Tractor Spare parts catalog. Operation and maintenance manual. Service/Workshop manual. 2684014 72-85 FD FIAT AGRI 72-85 FD Crawler Tractor Spare parts catalog. Operation and maintenance manual. Service/Workshop manual. 2684015 72-85M FIAT AGRI 72-85M Crawler Tractor Spare parts catalog. Operation and maintenance manual. Service/Workshop manual. 2684016 80-55 FIAT AGRI 80-55 Crawler Tractor Spare parts catalog. Operation and maintenance manual. Service/Workshop manual. 2684017 80-65 FIAT AGRI 80-65 Crawler Tractor Spare parts catalog. Operation and maintenance manual. Service/Workshop manual. 2684018 80-75 FIAT AGRI 80-75 Crawler Tractor Spare parts catalog. Operation and maintenance manual. Service/Workshop manual. 2684019 82-85 FIAT AGRI 82-85 Crawler Tractor Spare parts catalog. Operation and maintenance manual. Service/Workshop manual. 2684020 82-85 FD FIAT AGRI 82-85 FD Crawler Tractor Spare parts catalog. Operation and maintenance manual. Service/Workshop manual. 2684021 82-85M FIAT AGRI 82-85M Crawler Tractor Spare parts catalog. Operation and maintenance manual. Service/Workshop manual. 2684022 85-55 FIAT AGRI 85-55 Crawler Tractor Spare parts catalog. Operation and maintenance manual. Service/Workshop manual. 2684023 88-85 FD FIAT AGRI 88-85 FD Crawler Tractor Spare parts catalog. Operation and maintenance manual. Service/Workshop manual. 2684024 95-55 FIAT AGRI 95-55 Crawler Tractor Spare parts catalog. Operation and maintenance manual. Service/Workshop manual. 2684025 160-55 FIAT AGRI 160-55 Crawler Tractor Spare parts catalog. Operation and maintenance manual. Service/Workshop manual. 2684026 180-55 FIAT AGRI 180-55 Crawler Tractor Spare parts catalog. Operation and maintenance manual. Service/Workshop manual. 2684027 70C FIAT AGRI 70C Crawler Tractor Spare parts catalog. Operation and maintenance manual. Service/Workshop manual. 2684028 90C FIAT AGRI 90C Crawler Tractor Spare parts catalog. Operation and maintenance manual. Service/Workshop manual. 2684029 80C FIAT AGRI 80C Crawler Tractor Spare parts catalog. Operation and maintenance manual. Service/Workshop manual. 2684030 120C FIAT AGRI 120C Crawler Tractor Spare parts catalog. Operation and maintenance manual. Service/Workshop manual. 2684031 355 Series FIAT AGRI 355 Series Crawler Tractor Spare parts catalog. Operation and maintenance manual. Service/Workshop manual. 2684032 355C FIAT AGRI 355C Crawler Tractor Spare parts catalog. Operation and maintenance manual. Service/Workshop manual. 2684033 465C FIAT AGRI 465C Crawler Tractor Spare parts catalog. Operation and maintenance manual. Service/Workshop manual. 2684034 455C Super FIAT AGRI 455C Super Crawler Tractor Spare parts catalog. Operation and maintenance manual. Service/Workshop manual. 2684035 455C FIAT AGRI 455C Crawler Tractor Spare parts catalog. Operation and maintenance manual. Service/Workshop manual. 2684036 465C FIAT AGRI 465C Crawler Tractor Spare parts catalog. Operation and maintenance manual. Service/Workshop manual. 2684037 505C FIAT AGRI 505C Crawler Tractor Spare parts catalog. Operation and maintenance manual. Service/Workshop manual. 2684038 505C Super FIAT AGRI 505C Super Crawler Tractor Spare parts catalog. Operation and maintenance manual. Service/Workshop manual. 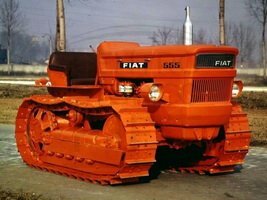 2684039 555 FIAT AGRI 555 Crawler Tractor Spare parts catalog. Operation and maintenance manual. Service/Workshop manual. 2684040 555M FIAT AGRI 555M Crawler Tractor Spare parts catalog. Operation and maintenance manual. Service/Workshop manual. 2684041 565C FIAT AGRI 565C Crawler Tractor Spare parts catalog. Operation and maintenance manual. Service/Workshop manual. 2684042 605C FIAT AGRI 605C Crawler Tractor Spare parts catalog. Operation and maintenance manual. Service/Workshop manual. 2684043 605C Super FIAT AGRI 605C Super Crawler Tractor Spare parts catalog. Operation and maintenance manual. Service/Workshop manual. 2684044 655 FIAT AGRI 655 Crawler Tractor Spare parts catalog. Operation and maintenance manual. Service/Workshop manual. 2684045 665C FIAT AGRI 665C Crawler Tractor Spare parts catalog. Operation and maintenance manual. Service/Workshop manual. 2684046 765C FIAT AGRI 765C Crawler Tractor Spare parts catalog. Operation and maintenance manual. Service/Workshop manual. 2684047 805C FIAT AGRI 805C Crawler Tractor Spare parts catalog. Operation and maintenance manual. Service/Workshop manual. 2684048 855C FIAT AGRI 855C Crawler Tractor Spare parts catalog. Operation and maintenance manual. Service/Workshop manual. 2684049 955C FIAT AGRI 955C Crawler Tractor Spare parts catalog. Operation and maintenance manual. Service/Workshop manual.